I am glad to hear about this settlement. But I am disappointed about the order to withdraw Cambodian troops from the zone. Other provisions such as Cambodia can access to the zone without disturbed and allow the zone to be mediated by ASEAN. I am not good in legal procedure, but this order seems take into account of compromise rather than legally decision-making. At the note underneath, the ICJ has been established by the UNs since 1954. So the on-going task of this organ must not be worried. But what I am worrying is the change of legal set in accordance with the change of global and regional embodiments. For instance, in 1962, the influence of ASEAN or the proportional work must not be concerned by the ICJ to harvest with regional body like the ASEAN. Furthermore, Thailand took a wrong path of its policy regarding conflict zone and border dispute by militarizing. Thailand should operate policy in the conflict zone as well as along the border line by materializing. Vietnam has successfully operated its co-operative policy with Cambodia in its modern update of economic innovation (I think they use the term do moi in Vietnamese). Vietnam has changed the conflict zone and border theme into the zone of development and co-operation (materialization). Vietnam has gained both the existing influence they capitalized during the 1979-1990 and the economic boom achieving during their do moi policy of economic liberalization and materialization. Of course, if we look back to the post-sponsored democratization by UNs in Cambodia, Thailand successfully injected its media, telecommunication and other businesses in Cambodia. But after the burning of Thai embassy and the coup detat in 1997, Thailand has gradually lost its confidence in capitalizing economic cooperation with Cambodia. In tern of this imbalanced approach between Thailand and Vietnam in Cambodia, the serious question will fall upon the policy makers and leaders of Cambodia. Remember, Cambodia has been in troubles as well as lost its pieces by pieces of border territory because of the imbalanced policies towards these two countries since the pre-French colonial to post-French colonial, and it is likely to this modern Cambodia. Cambodian ancient saying keeps remind us that “the visible enemies are not dangerous to us, but the invisible ones are”. The decision of the ICJ might consider the path to strengthening cooperation between Thailand and Cambodia more important than to make these two countries a foe with one another. And the modern world is more invisible than visible. 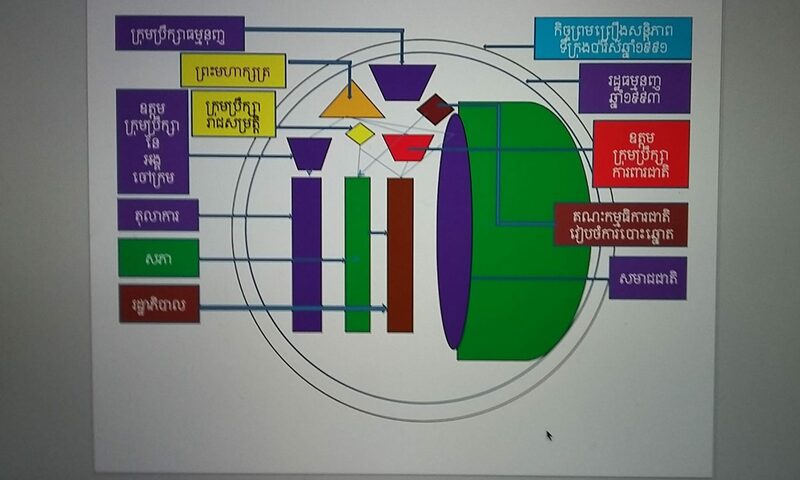 So Cambodia needs strong leadership of genuine democratization, policy planners, learned and experienced policy strategists, good governance and the rule of laws in order to confront with the invisibility and puzzling odds of current approaches of globalization and undeniable co-operations with every partner.